If you are struggling to improve your SEO ranking then, this Post is for you. Although they are basic practices, a lot of new bloggers fail at the level for a long time. So consider this as a bonus pass on your SEO journey. Nothing and absolute nothing short of quality content are required to get an improved SEO ranking. Remember SEO contents are written to serve search queries as such failure at that is critical. Therefore it is expected that content developers should have Fine-tuned web writing skills. Identify and use target a keyword phrase SEO contents. Next, endeavor to use the keyphrase repeatedly at several intervals throughout the page. Over-optimization is also discouraged, so you might want to use the keyphrase moderately. Importantly, use text emphasis such as bold, italics, heading tags to highlight these keyword phrases but don’t overdo it. You should not sacrifice a good post for keyphrase usage. One of the biggest influencers of SEO ranking is regular site updates. Quitters have no space with content production as stated earlier it has to be a passion. You need to have the strength and will power to go on even if ads are not paying. Because regular site update is a great indicator to search engines that a site is relevant. Title metadata is the page titles that will be displayed at the top of a browser window as insight on search engine results. On Content Management System, an automated system is in place for creating the meta title. Description metadata is a concise and appealing description of post content, it is considered as an incentive to drag visitor into a site. It is a short line of words probably two sentences that must contain the Focus keyphrase of your content. Another SEO ranking tip is to create a relevant link. Best practice discourages the use of the popular phrase “click here”. Instead of “click here” links, write the name of the destination and link it to the corresponding URL. For example, you can create a link that redirects users to g to google by just linking the word Google to its home. Because “Click here” is attributed with no search engine value beyond the URL. Search engines use this practice to determine SEO rankings as well as the page you are linking to. 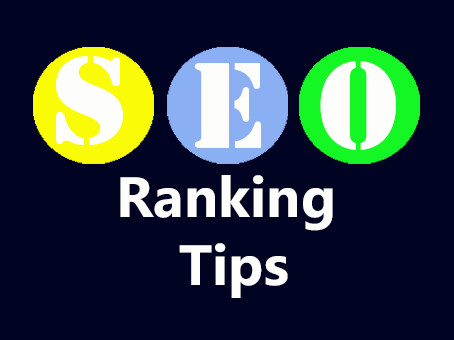 Final SEO ranking tip is the alt tags, it is an alternative description to visual contents. Alt tags or alternative text are displayed in instances where browsers fail to load media. They are used to locating a page on image search or used on text-only browsers. There are thousands of SEO Ranking tools out there, but below are some of the best tools you can use to monitor your website seo performance. The SEO checker listed below are tested and trusted. These are our top list for you. Feel free to explore and test out other tools out there. Kindly subscribe to this blog so you don’t miss out with updates.